Welcome to the Princess Castle! With great expectations the queen steps through the two-winged gate. The double front door can be opened inwards and outwards. Can be locked with the rotating gate lock. How spacious and elegant it is: the outside staircase leads directly up to the tower room, the flags are waving and the roses entwine picturesque along the castle wall. This castle is a dream come true! The Castle can be accessed from two sides. Five pink rhinestones decorate the gables as well as the door lock. 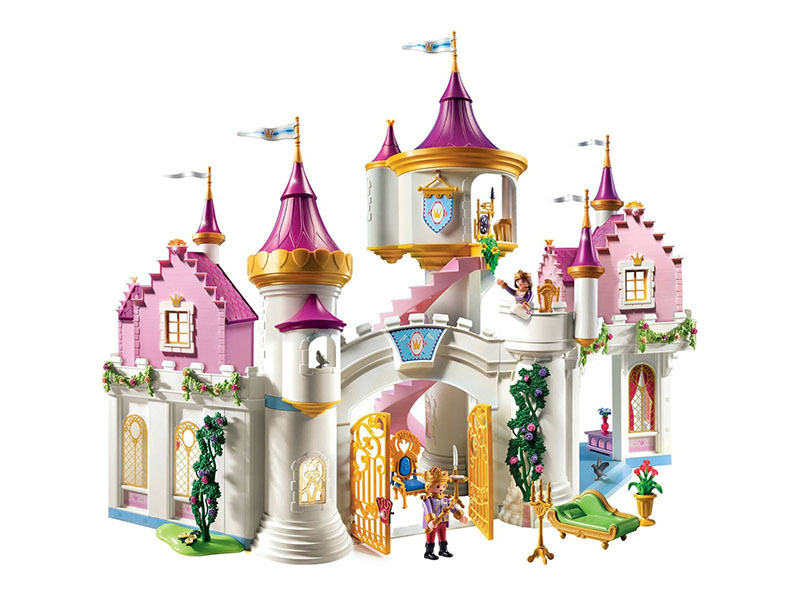 The castle can be furnished with room sets from items 6850 - 6855. (Sold separately) includes a Playmobil King and Queen and lots of accessories.